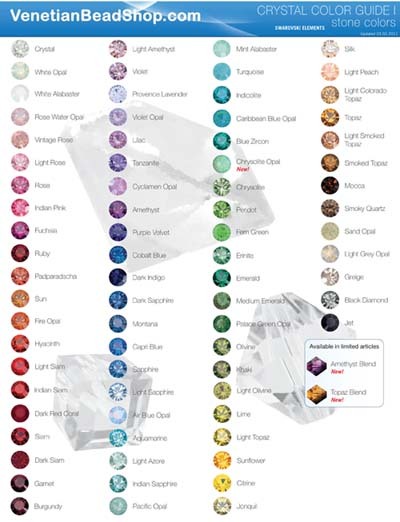 Free Download of Colors Guides from Swarovski 2011, includes new colors. Click on the picture and you can download/print these charts for use in your design. 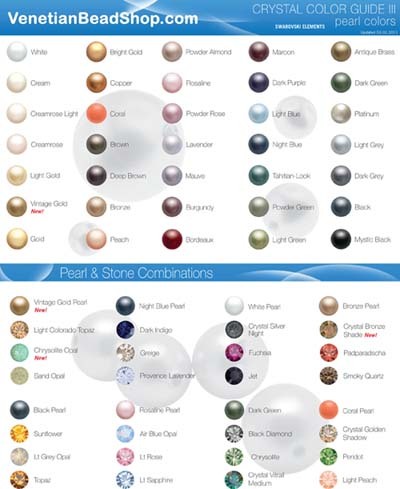 Swarovski colors work well with our Venetian Glass and provide accent beads at a good value. 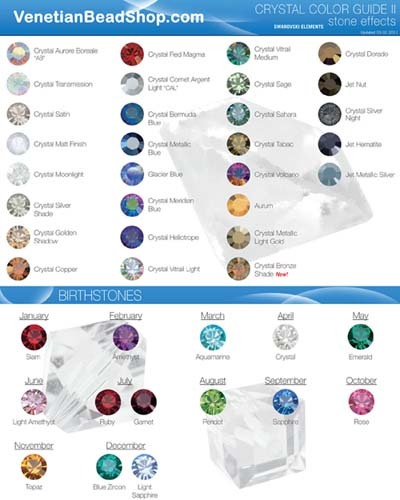 VenetianBeadShop carries a wide selection of Swarovski Crystals and Components to enhance your Venetian Glass Jewelry. To Print Click on Any Picture and the PDF will appear.